We woke up this week to the transformed Canadian Food Guidelines. Truly transformed. There's no 'meat' section and no 'dairy' section. I don't have to feel guilty about not drinking milk anymore. Fruit juice is no longer recommended - we're allowed water as something normal again. 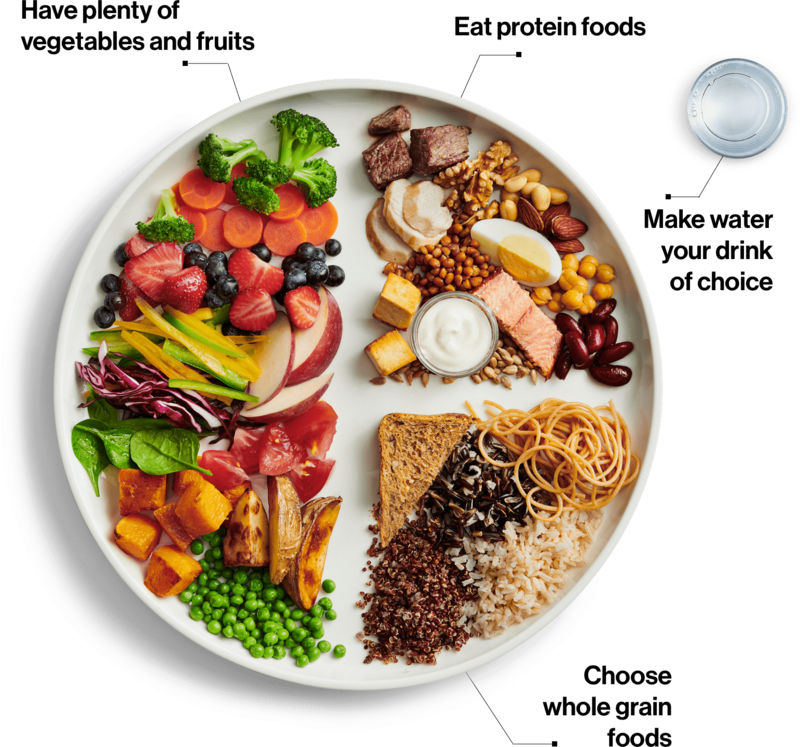 "It took Health Canada 15 years before it revised the 1992 Food Guide, and it has already been eight years since the launch of our 2007 version. Canadians deserve an evidence-based food guide. We deserved one back with the launch in 2007, and we still deserve one today. From my vantage point, however, I am unaware of any official energy, interest or plan to update our current non-evidence-based Guide any time soon." - This quote comes from the Senate, April 6 2016. So we enter the Canada Food Guide debate. The old 2007 guide is a pyramid. Here it is. This is meant to be a visual guide on what to eat more of and less than. But I see a clear message of moving up the 'food chain.' 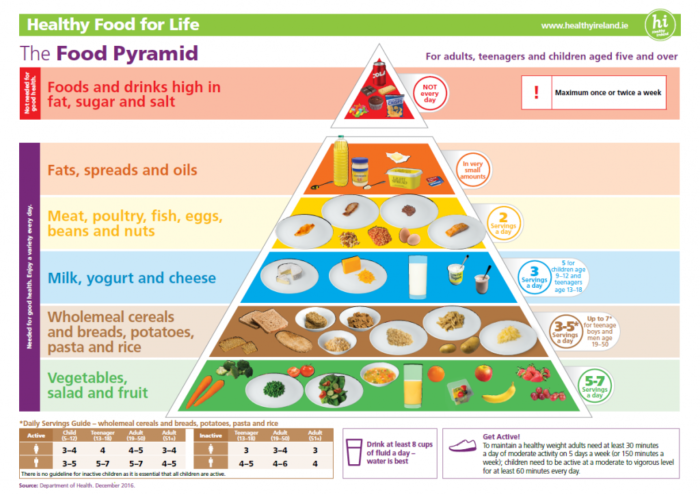 As we move up the pyramid, it is the top half of the picture that you focus on - meat, fat, processed food. There are many messages like this. The 'glass' of orange juice at the bottom of the pyramid? That's gone in the new guidelines. See the separate dairy category? That's gone in 2019. And the dominance of animal-based proteins - that's gone too. The 2019 picture below says what it is - proteins. They are all equal size in the plate picture below. On the plate above are huge hunks of meat. In another version there are whole fish and chickens shown. You can imagine that the reaction was mixed. This 'same size' presentation is interesting. The beef industry representative says that beef as an 'efficient' protein. "The amount of plant protein you would need to consume to have even one serving of lean beef is considerable". The 'food war' can be subtle. 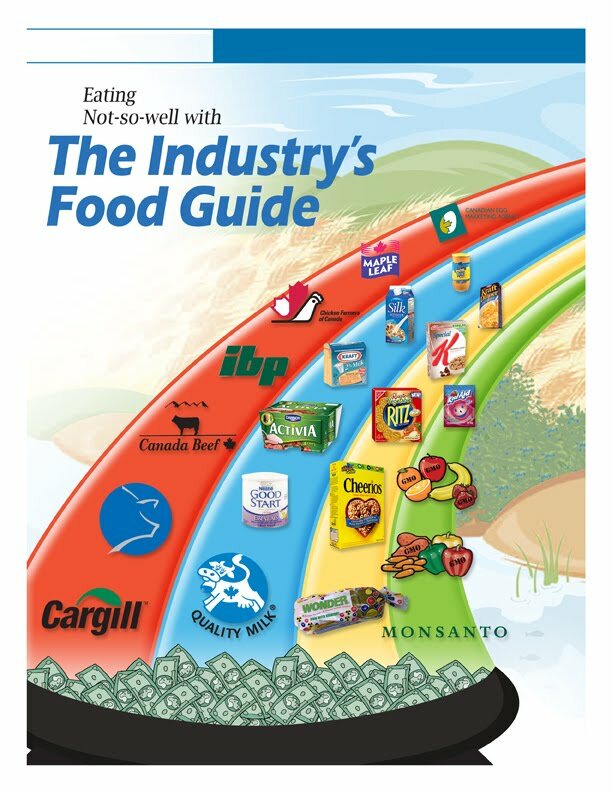 Below is an unsubtle criticism of the Food Industry's perspective on the 2007 Rainbow Pyramid. There has been loud criticism of the 2007 food guide being overly influenced by producers. So let's move to our pictures of the day. 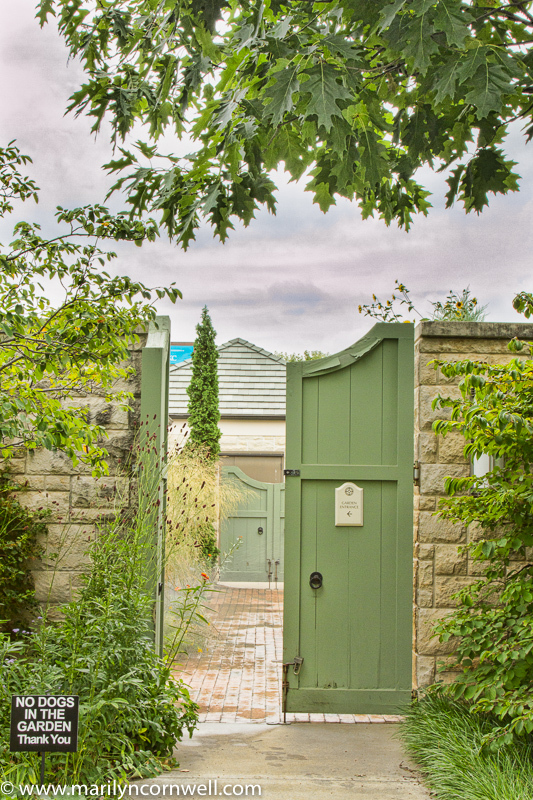 The little no dogs sign attracted my attention at the Kaufman Garden in Kansas City. 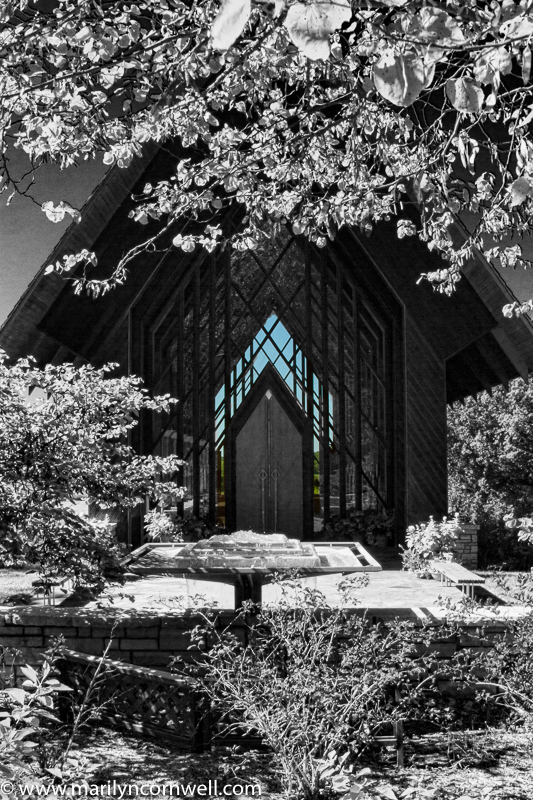 And below that is the well-known chapel at the Powell Garden. It has been given an infrared treatment.